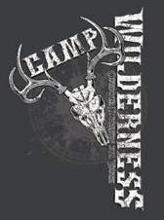 It is our hope that the information contained in this web site will help answer any questions you may have about Camp Wilderness. You will find information about the camp itself and all of the things it offers your child. While at camp your child will learn the many aspects of enjoying the outdoors and all of the wonderful things it has to offer. Along that path of learning we strive to teach the children proper ethics, moral values, respect for each other and respect for the creatures we love to hunt and fish and the world they live in. Copyright © 2016 MSC Camp Wilderness all rights reserved. All photos property of MSC Camp Wilderness and may not be used without expressed written consent.